Almond & White Chocolate Cupcakes — What the Fruitcake?! With the latest Star Trek movie imminent, I had an itch to scratch. It all started when I spotted their badges in some of the press photos floating around the web. I thought to myself, that would make a really cool topper for a cupcake. But I wasn't about to spend a small fortune on enough real badges to top a dozen or so cupcakes. No, I'd have to replicate them somehow. Enter Silli Mould. 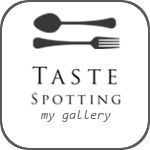 Something I've been wanting to try since I spotted it in one of the baking stores in town. Basically, once you mix the two components together, you can make your own food safe silicone mould to use with fondant, chocolate, sugar etc. Yes, it's so awesome that a Ferengi would want it. For what, I don't know, but it's cool enough just to want. After a bit of shopping on Amazon, my badges were on their way to me, along with my Silli Mould. At this point in time you might be wondering. 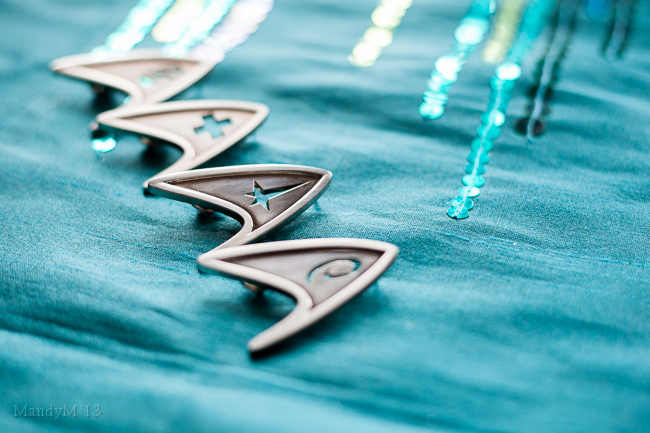 If I'm such a TNG and Voyager fan, then why was I making the badges from the movie "Into Darkness"? Firstly. I absolutely loved the reboot in 2009 and I can't wait to see "Into Darkness". Secondly. They're AWESOME looking badges. And thirdly, I will be making the commbadges from TNG & Voyager in the near future, don't you worry about that! But with the movie being topical, I thought I'd add my own bit of enthusiasm with some dedicated cupcakes. Korsak: (Eyeing out tubs of gumpaste) What the hell is ‘fun-dant’? Rizzoli: Fondant, and it’s sticky, sweet, inedible crap that they put on cakes. Korsak: Don’t put it on my retirement cake. That's all I'm going to say on this subject. For now. "Please Captain, not in front of the Cupcakes." Back to Star Trek. So, fondant tops ruled out, I thought a simple swirl of buttercream would do just fine. Swirled with a large plain tip instead of a star tip to help with the smooth appearance. I was almost all set to make it so for baking at the May bank holiday weekend, all I needed to do was decide on a flavour. For all the careful planning and prepping, carefully making my gumpaste badges and making sure I had the right colours for my frosting, I had yet to decide on the type of cake. I ended up making the decision while standing in the grocery store while Googling cakes on my phone. I'd done vanilla and chocolate what feels like thousands of times, and as lovely as those flavours are, I wanted to do something a little different. Something a Klingon might approve of. Somehow my brain transported to a cake recipe I'd once made years and years ago from an old fashioned book my mom had bought at a second hand store. It was an almond flavoured silver white cake with chocolate frosting. I really love almond cake, I enjoy its strange aroma, it's sort of a perfume, but not as floral or soapie as rose or lavender. I also enjoy marzipan, and when it comes to eating traditional Christmas fruit cakes, I peel away the fondant from the marzipan layer and push it to one side of my plate before getting back to the good stuff, my marzipan covered cake. Like SciFi, almond isn't loved by all. It seemed fitting. And I was excited about making the silver white cake again after what seems like lightyears ago. Of course, chocolate frosting wasn't going to work as I needed the icing to be white, so a bit of perusing the shelves of the store settled me on white chocolate for the buttercream. 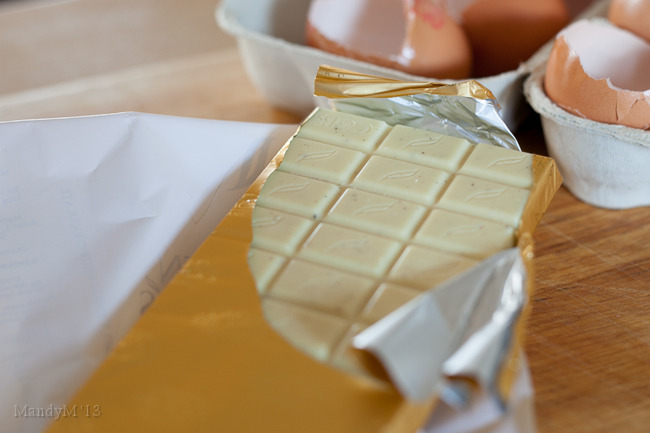 I think white chocolate and almond is a great flavour combination. The almond tames the sweetness of the white chocolate perfectly. 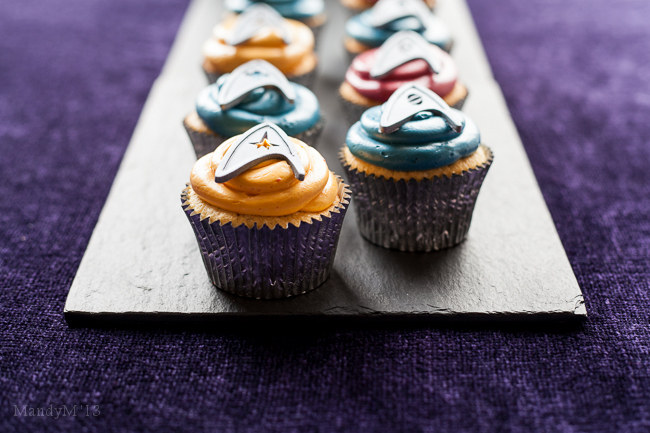 "Spock, I do not know too much about these little Cupcakes yet, but there is one thing that I have discovered. I like them… better than I like you." When I got home with my loot, I dug up the old recipe book with the silver white cake in it and compared that recipe to the one I'd found online, Magnolia's version of a vanilla silver white cake. My recipe book used shortening, Magnolia's used butter. I opted with butter. Actually, I ended up using Magnolia's recipe entirely because it used self raising flour instead of plain. A small convenience that I liked. 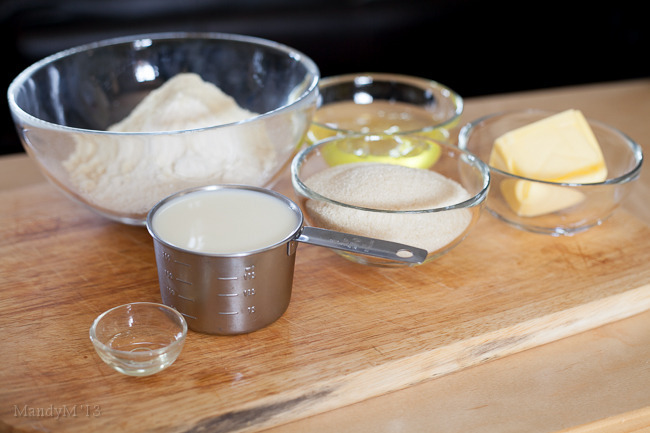 Apart from the use of almond extract instead of vanilla, and the butter vs shortening, the recipes were identical with regards to sugar, flour, eggs etc. However, I did make my own tweaks. I reduced the sugar by half a cup (the white chocolate buttercream would be plenty sweet enough) and I substituted some of the flour for ground almonds. I wanted the texture as well as the moisture that the almond meal would add. I was worried that the cake wouldn't be very rich because of the ommission of egg yolks, but after hubby and I thoroughly taste tested the cupcakes with and without frosting and found that resistance was futile, we both decided they were perfectly rich enough, especially with the Swiss meringue buttercream. Also, the almond meal did exactly what I'd hoped it would do. While the crumb looked almost too moist, as if underbaked, it was actually light and fluffy with the perfect amount of moisture. I was also really glad about cutting down the amount of sugar, it really didn't need any more than the one cup. "It's baking, Jim, but not as we know it." So the result after considering all the Data? Perfect! Even missing some of the self raising flour, they still rose beautifully and were light and fluffy thanks to the beaten egg whites. The lovely flavour of almond in the sponge was complimented by the white chocolate in the buttercream, and very importantly, the badges looked AMAZING! I'm sure I don't need to say this, but of course you can decorate these cupcakes any way you choose. Pale pink frosting with silver dragees or white sprinkles. Sprinkled with roasted almond flakes or maybe even a marzipan cherry. This recipe is also originally meant as a cake, so if cupcakes aren't your thing, this will make a two layer 9" cake. However you choose to make this recipe, I leave you with these words. 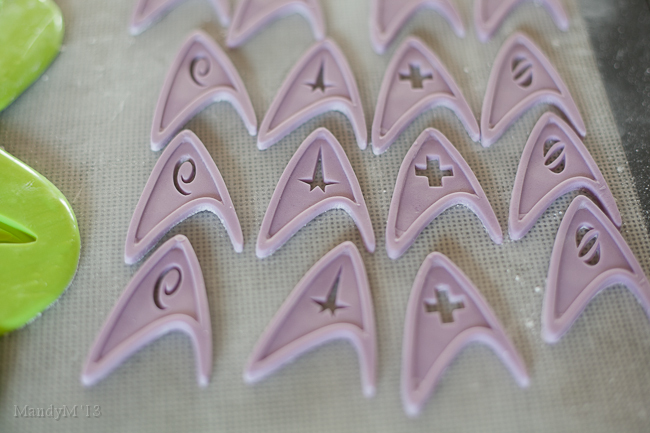 Live Bake long and prosper. "What are we looking at, a 20th century cupcake?" 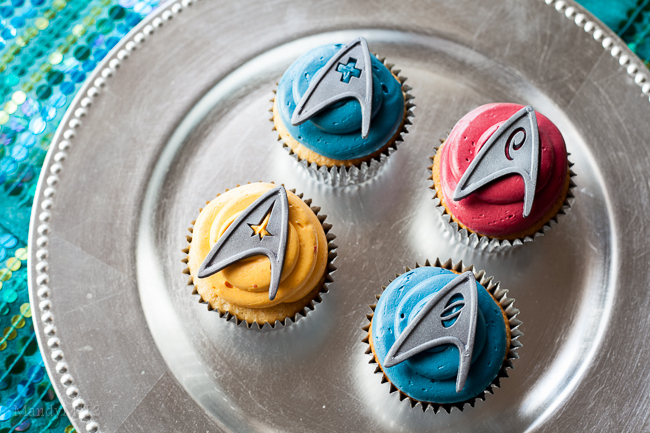 Posted on May 8, 2013 by Mandy Mortimer and filed under Baked, Sweet and tagged Almond Baked Cupcakes Silver White Cake Star Trek Sweet Swiss Meringue Buttercream White Chocolate.